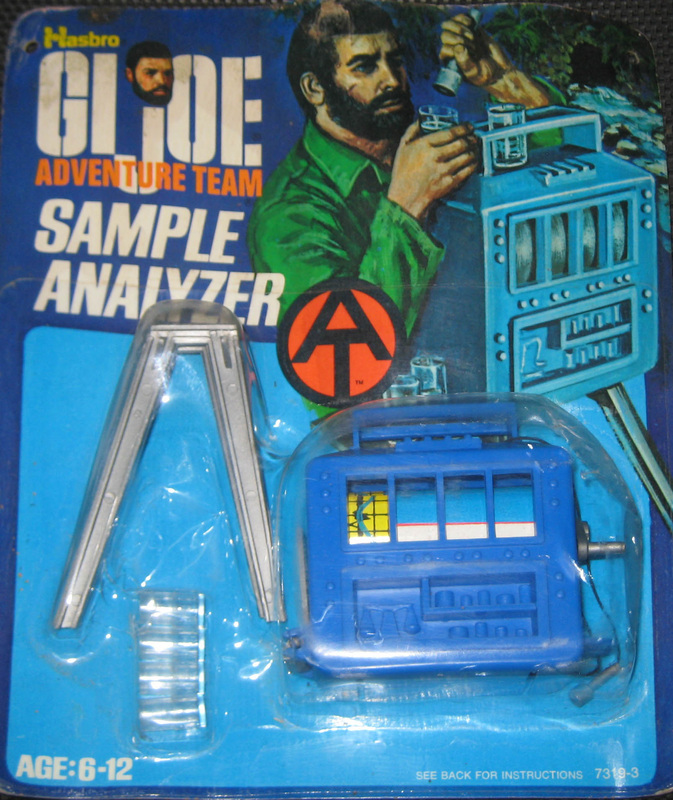 The Adventure Team goes high-tech with the ruggedly constructed Sample Analyzer (7319-3). The crank handle rotates a drum to give readouts of the various 'samples' kids could imagine. The set includes four clear plastic test tubes, a drop down side table, and a hand-held sample reader that looks for all the world like a microphone. Maybe the set doubled a a karaoke machine back at Adventure Team Headquarters. Carded set below courtesy of collector Steve Stovall. See his eBay auctions here!